This fruit is more like ice cream than anything else. 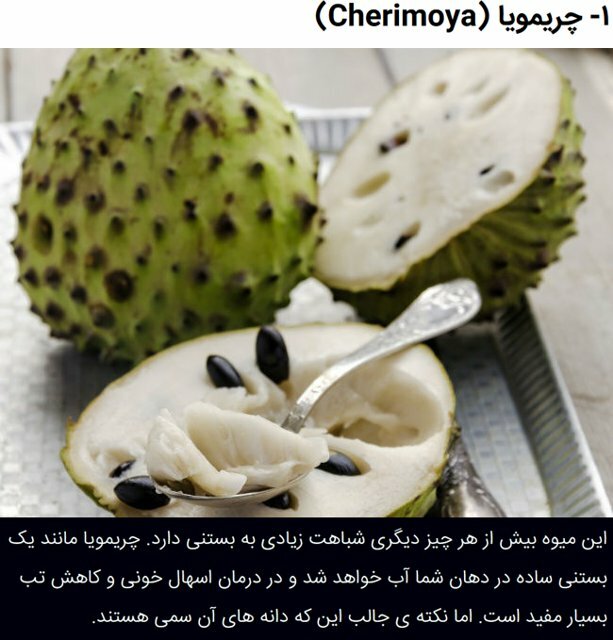 Cherimoya will be watered like a simple ice cream in your mouth and is very helpful in treating bloody diarrhea and reducing fever. But the interesting thing is that its seeds are poisonous.